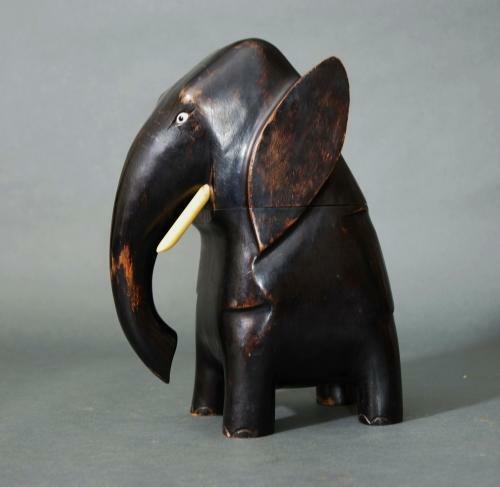 An early 20thc ebonised hardwood bottle holder in the form of a stylised elephant, possibly French. This piece has a hinged lid and a compartment to place a bottle. He has tusks and four legs that he rests on. This piece is in good condition and is good fun.